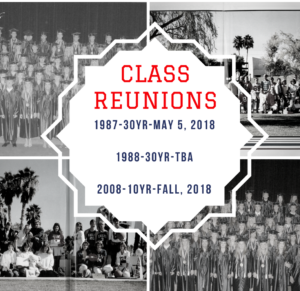 This alumni page is for YOU! You are an important part of the SCA family. Whether you attended SCA for 1 year or 10 years, the school represents a part of your childhood and Christian heritage. The alumni association exists to help you connect with classmates, teachers, and other friends, while honoring our Lord and Savior, Jesus Christ. It’s a joy and a pleasure to serve the alumni community at Scottsdale Christian Academy! Contact Lisa Jackson, Alumni Coordinator with questions about alumni activities. Do your children attend SCA? No, but we would love to receive information (including info about how to afford a Christian Education). At this time we will not be sending our children to SCA. Are you interested in receiving SCA Updates via email? What suggestions would you make to the SCA Alumni Association? Please share your most fond memory during your time at SCA.